We arrived at our seats minutes before the game started and she sat quietly for the first few minutes and eagerly joined in with the Let’s Go Pens! cheers. 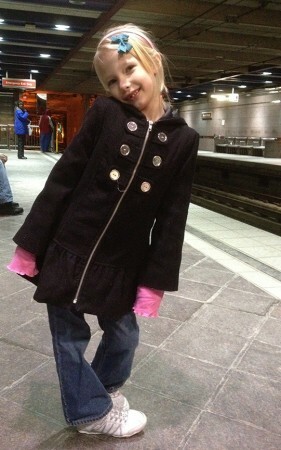 She cheered so eagerly that people 10 seats away turned around to see her. 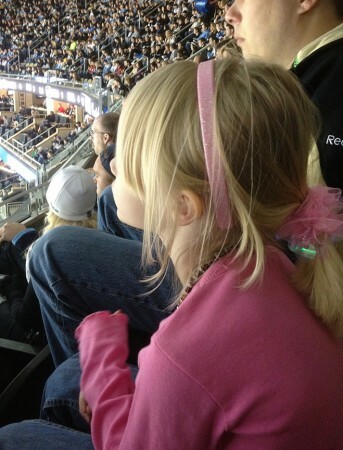 She asked lots of questions during the first period, some of them drew chuckles from the people seated around us. Halfway through the first period she asked how long it would be until we got the popcorn (she had been promised snacks) and I showed her the game clock on the jumbo-tron. I’m not sure if this was a good or bad idea as she spent the remainder of the game telling me how much time was remaining and she counted down the entire last minute of the first period. 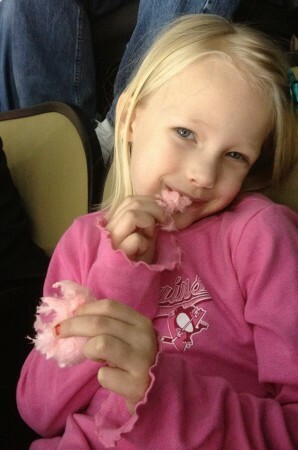 I brought her DS to keep her entertained during the intermission so she played a game while Scott went to get popcorn. 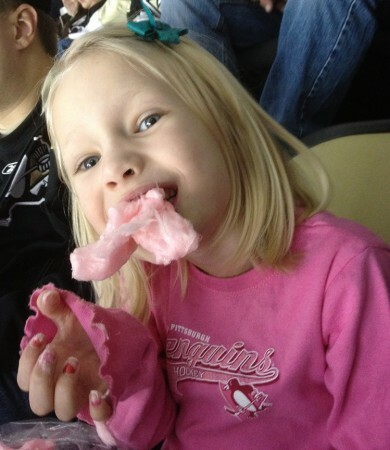 The popcorn was gone soon after the second period started (she had some help eating it) and she started to ask when we were getting another snack. 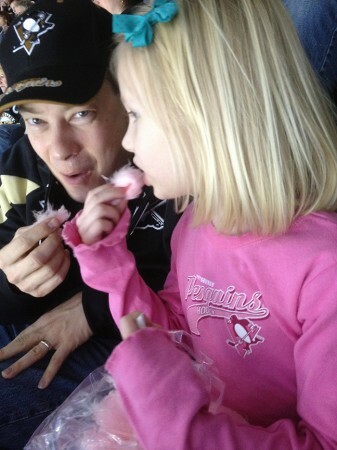 “I can’t wait 11 minutes and 36 seconds for the next break so we can get cotton candy.” Suddenly there he was in our section – the cotton candy man. 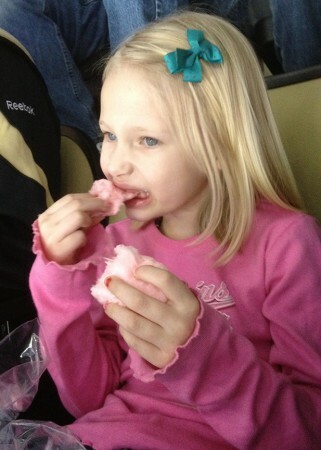 Cotton candy in hand she was happy to sit back in her seat and watch the game. 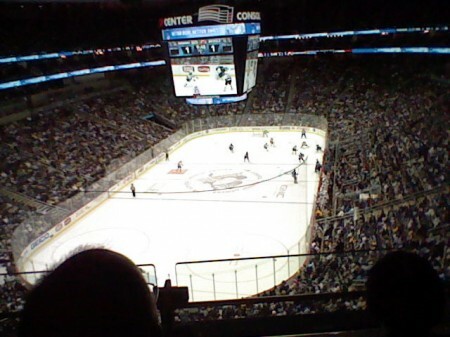 With 5 minutes remaining in the game there was a whistle and the mass exodus started in the arena. Juliana looked around and asked why everyone was leaving when the game wasn’t over, “don’t they want to see who wins the game?” That was a proud moment for Scott. 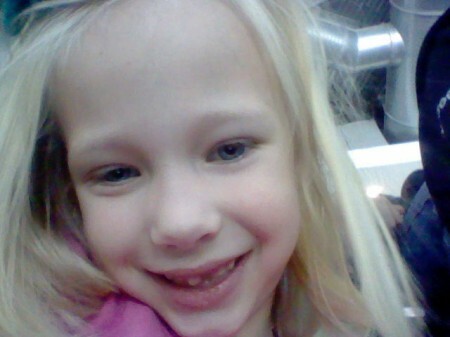 These are the pictures she took on her DS – her view and a self-portrait.